(P1) MEDIA PRESSURE this week led Google to reveal that its self-driving cars, which are being tested on selected city streets in California, have been involved in 11 accidents. All were minor accidents that occurred over the past six years, according to Chris Urmson, director of the self-driving car program. (P2) The DISCLOSURE followed an Associated Press report that Google vehicles were involved in three collisions since September, when reporting all accidents involving self-driving cars became MANDATORY. (P3) Ten of the accidents occurred when other drivers hit the Google cars, Urmson said. Seven were REAR-ENDERS, two were SIDE-SWIPES, and one was caused by someone rolling through a stop sign. (P4) The one accident caused by a Google car occurred when an engineer was driving the vehicle manually and rear-ended another vehicle. (P5) Self-driving cars “don’t overdrive their capability and can’t get distracted, so it’s nearly impossible for them to cause an accident,” said analyst Rob Enderle. (P7) The consumer protection group Consumer WATCHDOG earlier this month demanded that Google release full details of an accident involving one of its self-driving cars, and called on it to commit to making all future accident reports public. (P8) Consumer Watchdog on Tuesday held a press event on problems with self-driving cars. (P9) Those problems, according to the group, include bad weather interfering with the vehicles’ sensors; the vehicles’ inability to recognize hand signals; and an inability to recognize road conditions such as large POTHOLES, open manholes or newly installed traffic lights. (P10) Google’s 23 self-driving vehicles have driven 1.7 million miles — nearly 1 million of those miles AUTONOMOUSLY — and average about 10,000 self-driven miles a week, mostly on city streets, Urmson pointed out. (P11) That’s not as good as it sounds, said John Simpson, director of Consumer Watchdog’s Privacy Project. Eleven accidents in 1.7 million miles works out to 0.65 accidents per 100,000 miles — about twice the 0.3 property damage accidents per 100,000 miles driven in 2013 reported by the United States National Highway Traffic Safety Administration. (P12) Google has come UNDER FIRE for not being more forthcoming with details, but “like every other company testing autonomous vehicles on California roads, [Google] shares information on accidents with the DMV as required by regulations,” company spokesperson Katelin Jabbari told TechNewsWorld. (P13) There are, by the way, six other companies testing self-driving cars, and a total of 48 autonomous cars are licensed for testing in California, AP reported. (P14) Critics of self-driving cars say that there always will be UNFORESEEN circumstances, such as people running across streets, or careless drivers making sudden turns, or an oncoming vehicle on the other side flying over the road divider and crashing, and it’s difficult, indeed almost impossible to program for them. 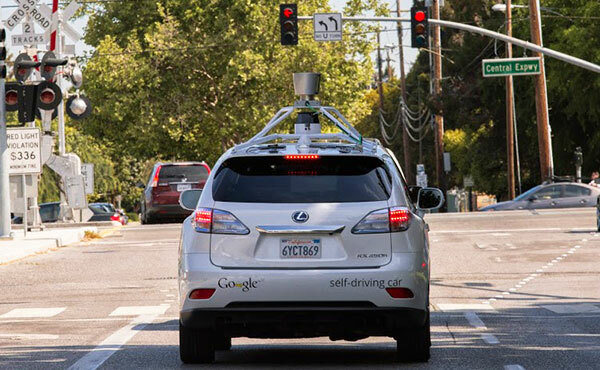 Why is the Consumer Watchdog group concerned about the safety of the Google self-driving car? Google pointed out that none of the eleven accidents involving the self-driving car were caused by the car’s programming. Do you think that self-driving cars are a safe technology? Do you think there will be many self-driving cars on the road in ten years, or very few? Would you be interested in owning a self-driving car yourself?